Sydney FC celebrate after winning the W-League title. McCaskill gave the Sky Blues a half-time lead on Saturday after Sam Kerr's penalty had cancelled out Sofia Huerta's long-range opener. She made it a two-goal cushion midway through the second half at Jubilee Oval before Glory defender Alyssa Mautz pulled one back in the 68th minute. 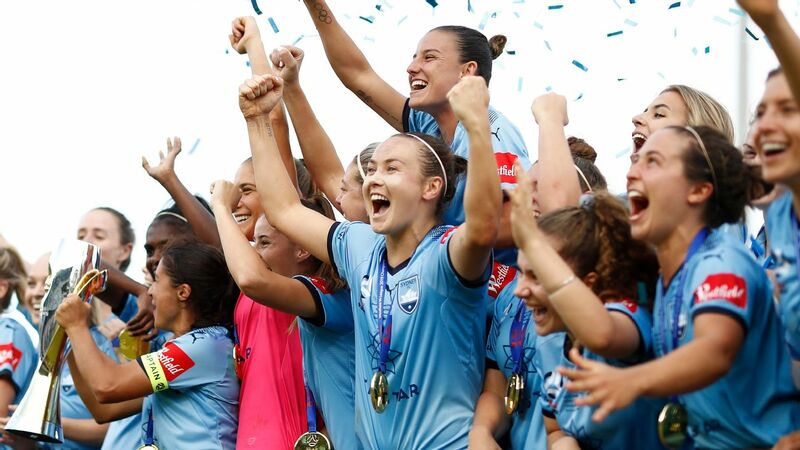 Any thoughts of a comeback ended when Chloe Logarzo drove home from just outside the box to seal Sydney FC's record-equalling third championship. It ended Melbourne City's run of three straight titles, including their defeat of Sydney last year. 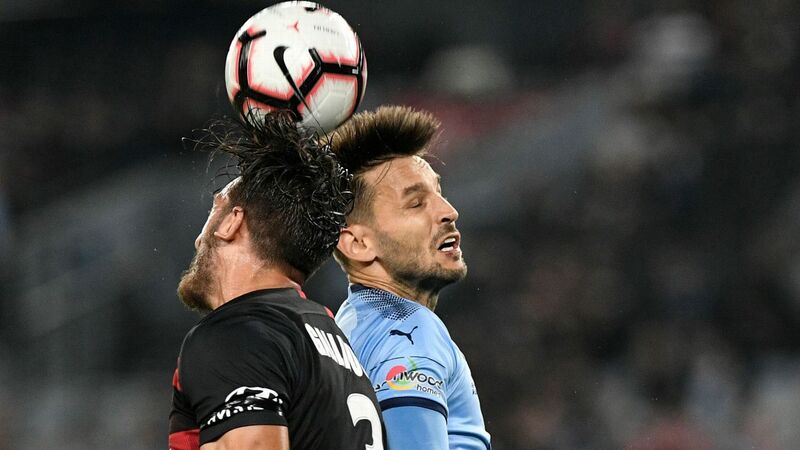 The Glory, meanwhile, were left to rue a third missed shot at their first title as Sydney FC coach Ante Juric praised his defence for shutting down the dangerous Glory attack. "With Sam Kerr and [Rachel] Hill, they keep getting patches where they attack and they're dangerous," Juric said. "So I thought Alanna Kennedy, Liz [Ralston], actually the whole back four were sensational to stop that. They're never out of the game so, when we got the fourth and there was a minute to go, I was confident." All week, there had been predictions of a shootout between the season's two most prolific scoring teams, led by Matildas pair Caitlin Foord and Kerr. And a W-League grand final record crowd of 6,127 weren't disappointed as both sides fired a combined 27 attempts in a free-flowing contest. McCaskill would've been kicking herself when she hit the woodwork from point-blank range in the second minute. But she didn't have to wait long to make amends, laying off for Huera to drill into the top corner for the opener. Kerr made her impact when she converted from the penalty spot after beating Danielle Colaprico to a loose ball and getting a kick to the shin. Sydney goalkeeper Aubrey Bledsoe couldn't prevent Kerr's shot from finding the bottom corner. 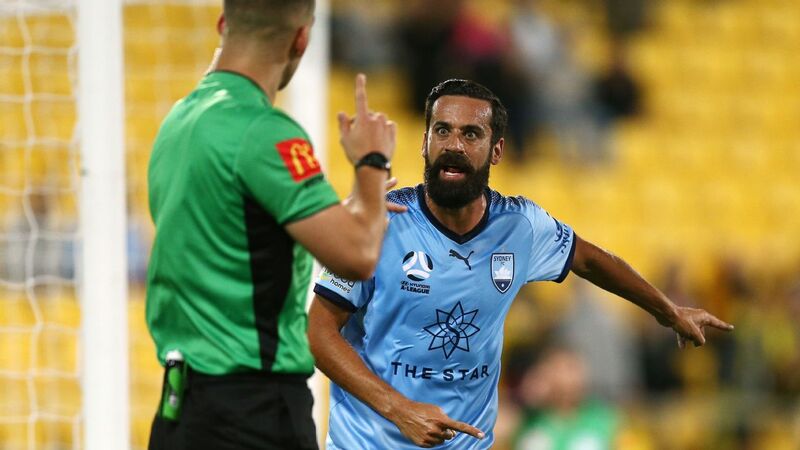 While the Glory continued to rely on finding Kerr and Hill on the counter, the Sky Blues were able to dictate and build upfield and were rewarded when McCaskill's header looped over Eliza Campbell in the 41st minute. The home side picked up where the left off on resumption, and took control when McCaskill was the first to react to a second ball from a corner. A grandstand finish loomed when Mautz volleyed in a Nicole Stanton corner, but Logarzo responded not long afterwards. Glory coach Bobby Despotovski was critical of his team's slow start, but conceded that they were outplayed on the day. "They scored three world-class goals to beat us, so you can't take that away from them," he said. "On the flip side, we started very slow and sluggish. 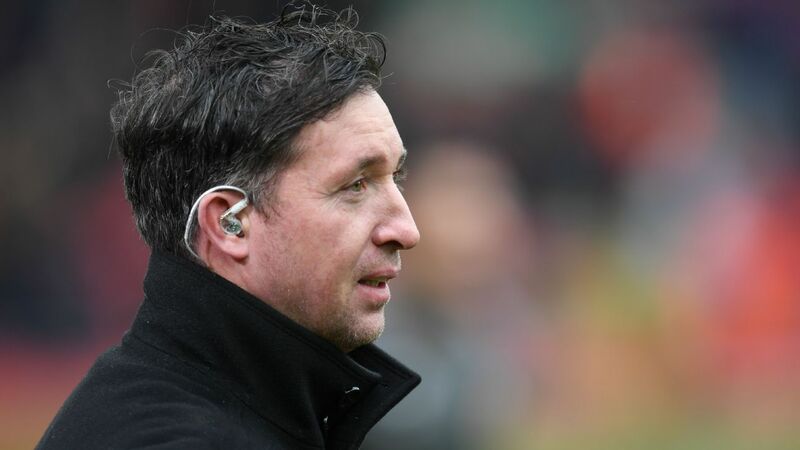 "They're a very well-organised team, and they deserved what they got today."